High winds flowing over Mt. 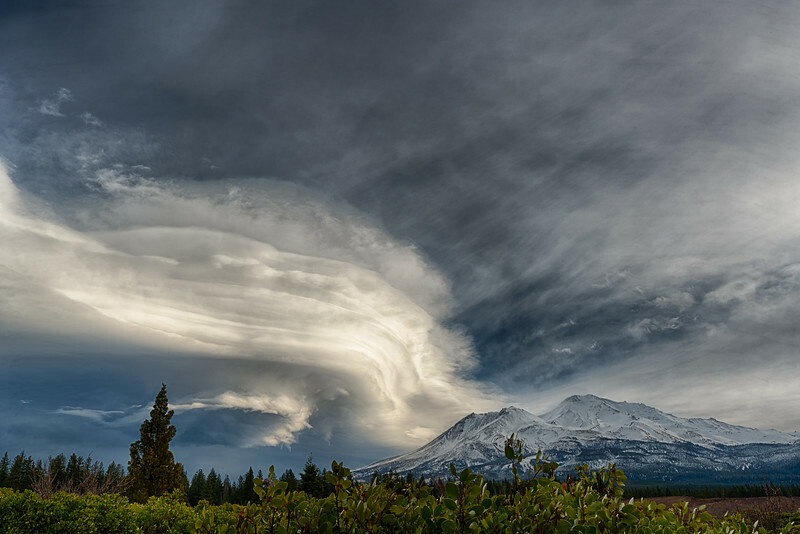 Shasta create a "standing wave" in the atmosphere. Under the right conditions, the wave comes to life, as an alpine lenticular cloud. Pilots avoid them. Photographers and cloud lovers seek them out.